If you are having problems with your Apple TV and you are not able to access your Apple TV it means that your device has become unresponsive. The battery in the remote of your apple TV might be dead or there might be some glitch in the software of the apple TV. What can you do at this point? 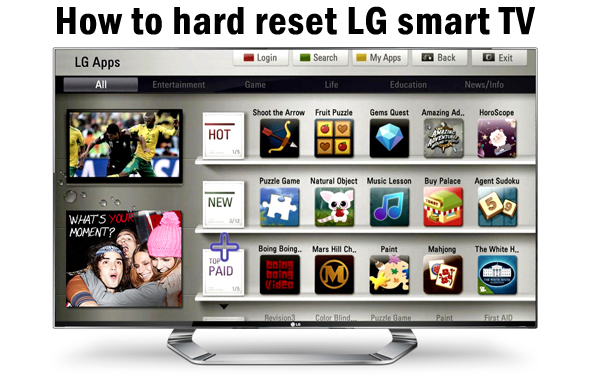 The best option which you are having at this point is doing hard reset of your Apple TV. There are several methods which you can try to solve the problems which you are facing on your Apple TV and we will share two methods with you today. If the remote of your Apple TV is working fine there might be problem with your Apple TV. If your Apple TV has become hot it might lead to freezing of your TV and leading to unresponsive unit. You can follow the steps shared below to restart a frozen Apple TV. Take the remote of your Apple TV. Place the remote towards your Apple TV. Now you have to press both down (-) and Menu button on your Apple TV for around 6 seconds till the light starts blinking amber. You will see a new screen on your Apple TV where you will see three options. These options are Restart, Factory Restore and Run Diagnostics. Select the Restart option and you will see Apple TV rebooting and your TV will start working fine. If you have changed the batteries and tried everything else on your Apple TV and still your TV is not working fine then the last option which you are having is performing a hard reset on your Apple TV. You can easily restore the Apple TV to its factory settings by going to the Recovery Menu. Follow the steps shared below to hard reset the Apple TV. Unplug your Apple TV from your TV. Wait for around 10 seconds and plug the Apple TV back to your TV. Now take the remote and point it towards your Apple TV. 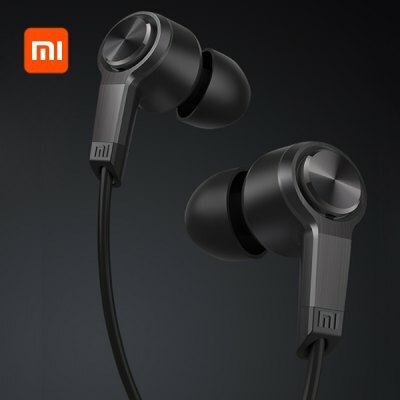 Press and hold both the Menu and down (-) button. Keep holding both these buttons until you see your Apple TV restarting. You will see a new screen on your Apple TV with three options which will be Restart, Factory Restore and Run Diagnostics. 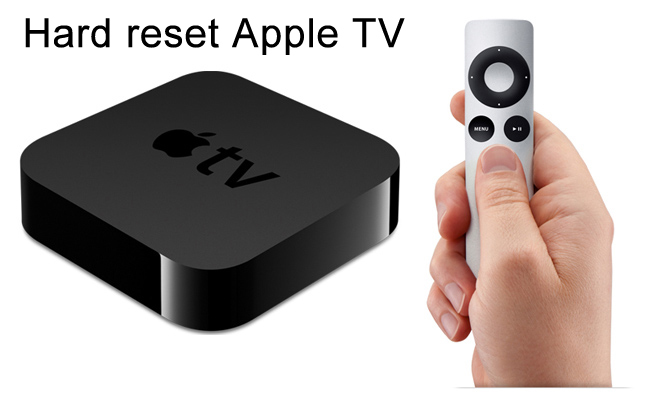 Select the Factory Restore option which will perform hard reset on your Apple TV. All the data which is present in your Apple TV will get deleted and once hard reset is completed you haveto resync all your data. Once factory restore is complete you will get the out of the box Apple TV with you. If your Apple TV is having an update you can go to Main Settings and update to the latest version of the software available. You have successfully performed hard reset on your Apple TV.